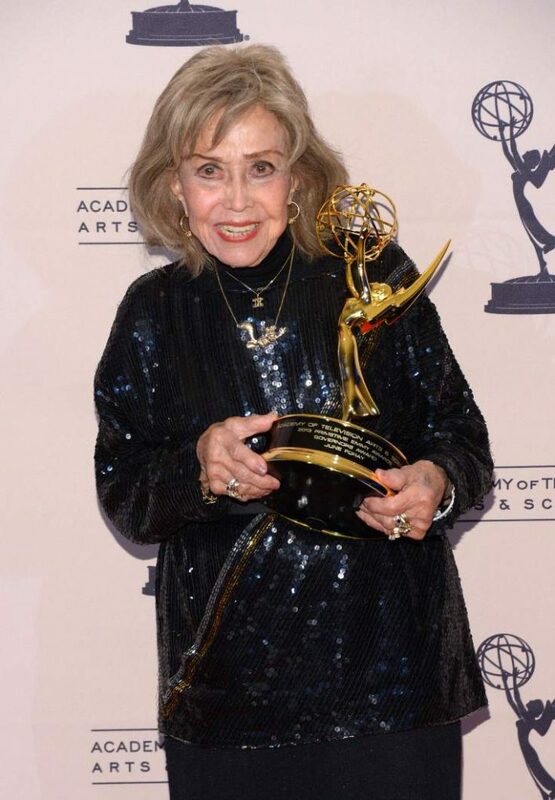 June Foray, Hollywood’s best-known female voice talent, died July 27 at the age of 99. She was best known as the voice of Rocky in Rocky and Bullwinkle (1959-1964), a role she reprised as recently as 2014 in a DreamWorks Animation short. She worked with Stan Freberg and Daws Butler on several comedy records, including the 1953 Dragnet parody ”St. George and the Dragonet”. 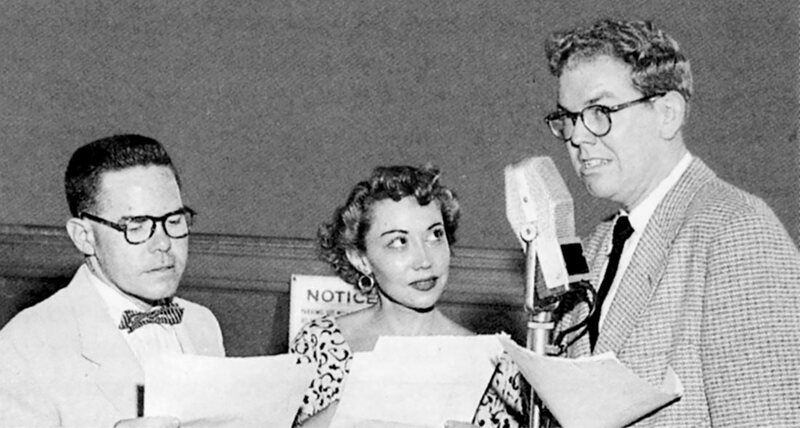 Later she was a regular cast member of The Stan Freberg Show on CBS Radio. She was the voice of Mattel Toys’ Chatty Cathy, and its Twilight Zone nemesis ”Talky Tina” (in the 1963 episode “A Living Doll”). She also voiced Cindy Lou Who in Chuck Jones’ 1966 adaptation of How the Grinch Stole Christmas. A few years ago when Earl Kress and I assisted her with her autobiography, we foolishly thought we could whip up a near-complete list of everything she’d done. Not in this world possible. I know more of June’s credits than most people and I’d be surprised if I know 10% of it. She was one of the earliest members of the Hollywood chapter of Association Internationale du Film d’Animation, and she created the Annie Awards, presented by ASIFA-Hollywood. The Annies created a juried award named for Foray in 1995 that honors individuals who have made significant or benevolent contributions to the art and industry of animation, and she was its first recipient. Foray received a Daytime Emmy in 2012 for her performance as Mrs. Cauldron on Cartoon Network’s The Garfield Show. And in 2013 she was presented with an honorary Emmy by the Governors of the Academy of Television Arts & Science. She was a panelist at LASFS’ annual Loscon in 2009. This entry was posted in In Passing and tagged June Foray by Mike Glyer. Bookmark the permalink. She was marvelous! Requiescat In Pace. I’ve been enjoying her work all my life, and I’m 65. Thanks for the link to St. George and the Dragonet. That was VERY funny! She’s been a hoot every time she showed up on panels at LosCon (yes, in her 90s), and walking in and hearing her do the voices — the real voices! — was electrifying. Truly, she was among the best and smartest things in ’60s American culture, along with Theodore J. Flicker’s ‘The President’s Analyst’ and Tom Lehrer’s songs. May her memory be a blessing, and I’ll think of her fondly always. She was the best, and remained so till the end. I thought she’d live forever too, but that trick never works. At least we have a lot of great work to remember her by. Aw, damn. RIP, June, and thanks. One of the talking heads in the trailer has what he intends as a tribute, calling her “the female Mel Blanc”. From the little I know, she made Mel Blanc look limited. (There may be a Filer who doesn’t know that she also played Natasha in addition to Rocky.) And I also thank OGH for the Freberg recording; I haven’t heard nearly enough of his work.